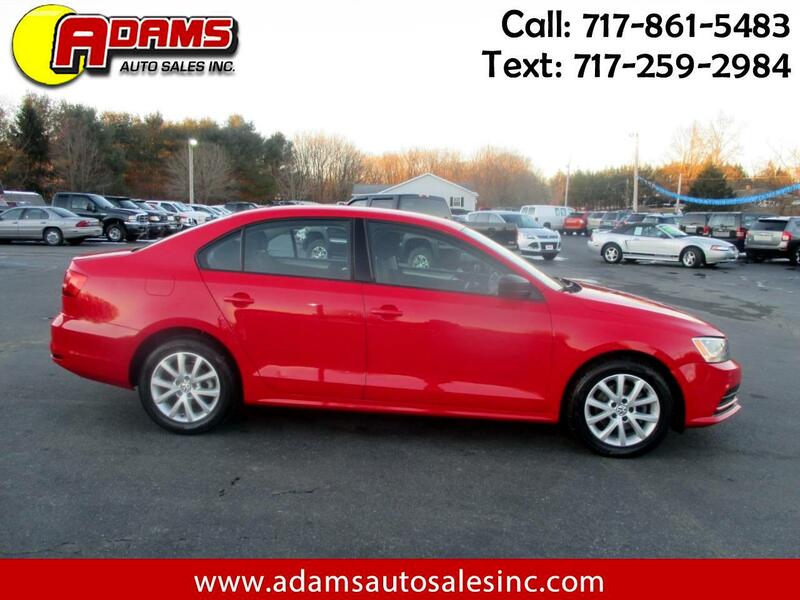 Used 2015 Volkswagen Jetta Sedan 4dr Auto 1.8T SE PZEV for Sale in Lebanon PA 17046 Adams Auto Sales Inc.
***GREAT DEAL FOR ONLY $7,995*** This red hot 2015 Volkswagen Jetta SE sedan is ready to hit the road with you behind the wheel. It is equipped with a 4 cyl 1.8 liter engine and an automatic transmission. It has a backup camera, heated seats and alloy wheels. The red exterior and black interior are in excellent condition. well maintained inside and out. Brand new inspection and emissions, good thru January of 2020. It comes with a 3 month / 4,000 miles (whichever occurs first) powertrain warranty. Ask a salesman for more details. Free Carfax report is available. Hurry in for a test drive before someone else drives it away forever!